My neighbors are landscape geniuses. Their yard is amazing—well imagined, well crafted, and well-tended. My kitchen window faces their house and I thank them daily as I trudge through chores for providing me with such an awesome view. 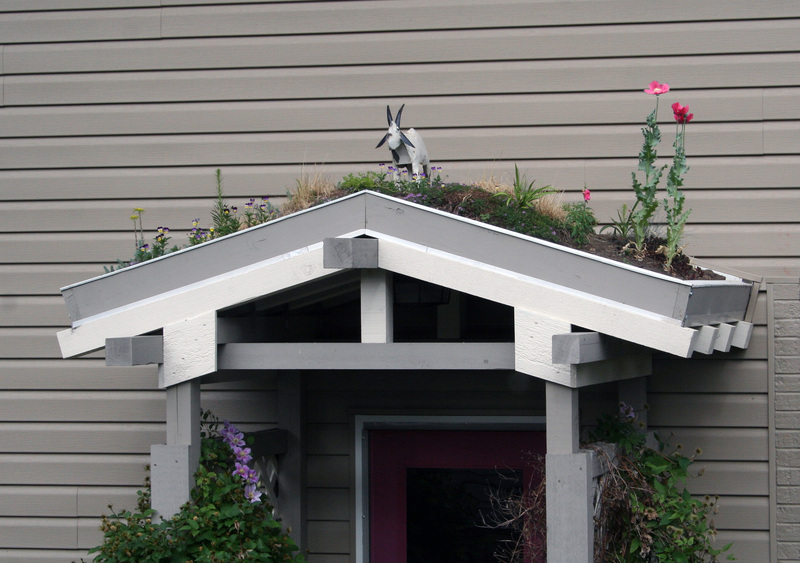 This spring, they “roofed” the porch they built with dirt and plants. And a goat. I think I need to name him, but nothing has come to mind yet. I expected a thatch of thick grass and maybe some draping plants. But right away there were these… weeds? growing. From my vantage, they resembled prickers. Thistles, whatever they’re called. We grow them in abundance in my yard and I assumed some discourteous bird had dropped seedlings onto their new garden. 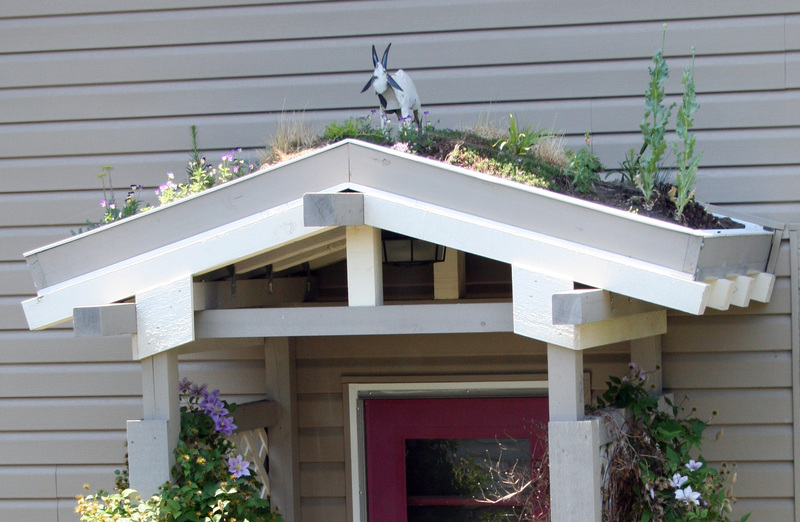 One day I saw the neighbor on his ladder tending and watering the gable, and thought, thank goodness, get rid of those weeds! But he didn’t. And they grew. Then one morning as I unloaded the dishwasher, I noticed they had bloomed! Beautiful rosy-melon-pink flowers. I should have trusted them, they are the professionals, but my initial reaction was, ew, weeds. My experienced reaction was, aw, flowers! I just didn’t know until I knew. And hopefully next time a potential “weed” presents itself in my life, I will not be so quick to pass judgment. I will know when I know. 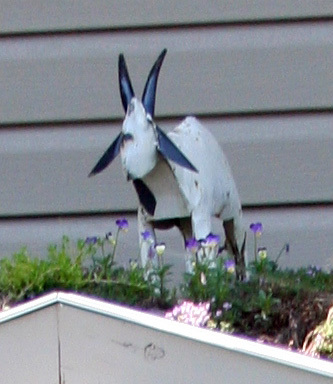 This entry was posted in Uncategorized and tagged flowers, goat, neighbor, weeds. Bookmark the permalink. 3 Responses to You don’t know until you know. Lovely post…and a good lesson.